Looking for an award-winning Bourbon Street / French Quarter / Marigny inn or vacation rental? We’re steps from the intersection of Bourbon Street and Esplanade Avenue, just two blocks to the city’s hottest entertainment district – Frenchmen Street. Just 3 blocks from the French Market and the Riverfront streetcar line or a 5-minute stroll from nightclubs on Bourbon Street, too! You’ll also find nearby world-class art and antique stores on Royal Street and wonderful museums and shopping around Jackson Square. 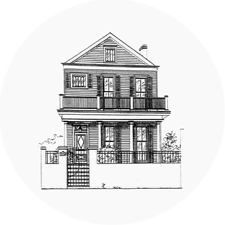 La Maison Marigny (sounds like “mare-in-knee”) is fully licensed by the City of New Orleans, inspected and rated annually by industry professionals, a charter member of the Professional Innkeepers Association of New Orleans, and involved with the Professional Association of Innkeepers International (PAII), the leading association representing owners of inns and bed and breakfasts. We offer our property as a vacation rental up to 365 days in advance. Within 30 days of arrival, we offer bed and breakfast accommodations. Your host, John Ramsey, has been a New Orleans resident since 1991. He’s always available to ensure that your stay in the Crescent City is perfect. Some of his personal recommendations can be found right here. 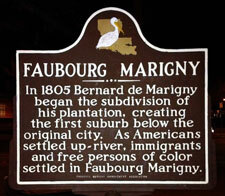 Also, be sure to check out the La Maison Marigny blog.